Why Tujhse Hai Raabta’s Anupriya Deshmukh Is Not The Step-Mom We Grew Up Watching! Zee TV show actress Poorva Gokhale will make you unlearn the Bollywood version of step-mommies. Bollywood has not given us a very good picture of step-mothers. We often saw such ladies as monstrous, daunting women who wore loud make-ups and gaudy attires. And when I saw the promos of Tujhse Hai Raabta, I thought it would show the same over the top equation. But few episodes down, when there were no ‘kalmuhi’ or ‘karamjali’ terms coming my way, I realised that this was something different. Yes, Poorva Ghokale in the role of step-mother Anupriya Deshmukh has changed these 5 notions about stepmother for all of us. Unlike the over-dramatic filmy step-mothers, there are no evil expressions you will see on Anupriya’s face. If you expect some loud eye-shadows and dark lipsticks, you are not getting any. Anupriya is in her simplest avatar on the show. Yes, Poorva’s character has positively revamped the step-mom image. There are no more cuss words and yelling that they utter. Remember, how the thought of step-mom scared us. Especially, when we saw the child surviving on leftovers and hand me downs. Tujhse Hai Raabta actress left this in the past. Ever wondered this dynamic would exist in a step-relationship? Well, yes, Anupriya has stood by Kalyani time and again, bursting another bubble for us. If you agree, then let us know if we have missed out on any other myth Anurpiya Deshmukh has busted. Comment in the section below. 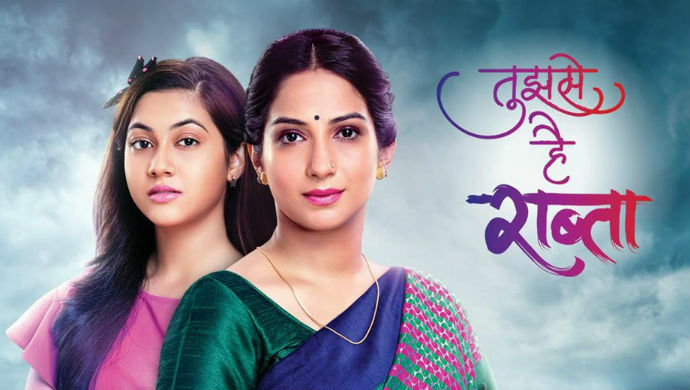 Watch all episodes of Tujhse Hai Raabta exclusively on ZEE5 here! This Heartwarming Film On A Martyr Is The Dose Of Inspiration You Need- Watch Exclusively On ZEE5!